Blog Quick Quotes: Happy Mother's Day! Today we take time to pay tribute to that special Mom in our life! We honor you and thank you for being so very special to us! For those of us who celebrate the memories of our loved ones, we extend to you our heartfelt wishes that the memories are warm and bring you comfort. 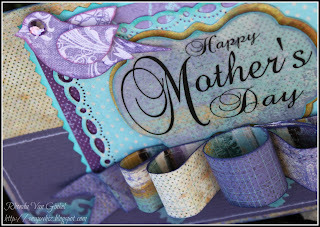 Happy Mother's Day greetings to all of our Quick Quotes friends and fans! It's Rhonda here today with a little card inspiration for you. I've mixed our One Fine Day, Dreamscape and Miss Morgan collections. I started by using the Labels Fourteen to cut my vellum sentiment and also the backing for it. I created the shadow layer by tracing the outer part of the die with pencil, then cut it out with my scissors for the yellow layer. 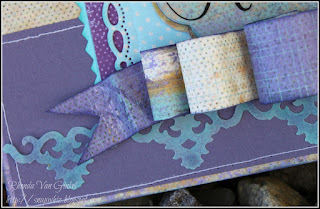 The scallop border here is a strip of plain vellum that I die cut and inked with Purple Passion and Tahiti PowderPuff Chalk Inks. I inked on the back side and allowed to dry. I love how it softly coordinates, yet still has a little variation of tone. To finish it off, I created a paper bow and added the bird. Just 'hopped' over from Frosted Designs. I really love this card it is so beautiful! Wow! 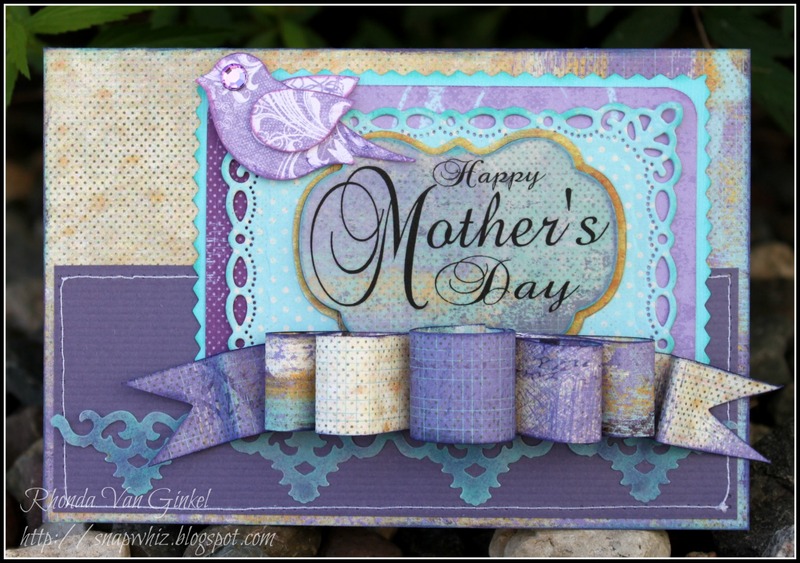 Gorgeous card Rhonda! I love the way you were able to combine the different paper lines! This is gorgeous. I Love the colors and dies used. What a great treatment of vellum. I think I'll go play with that tonight. Thanks for sharing. Especially like the paper bow. Will have to give this a try. Gorgeous card!!!!! love the color combo, and the diecuts are just a delicious addition! Just Beautiful, Rhonda! The color combinations of the three lines together turned out fabulously! beautiful card Rhonda! love all the details. HOw did I miss this beautifull.... glad I came to the blog today lots of great stuff.